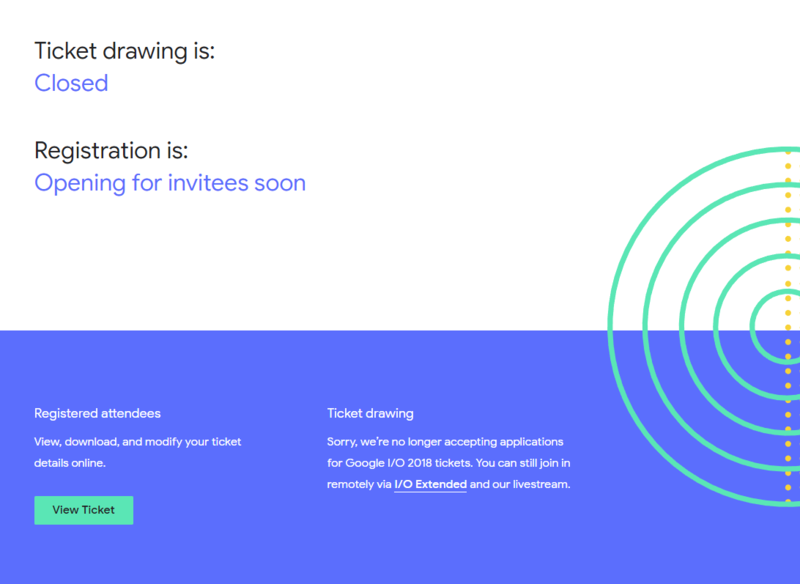 The I/O ticket draw is now closed. The registration will be open soon for the invitees. 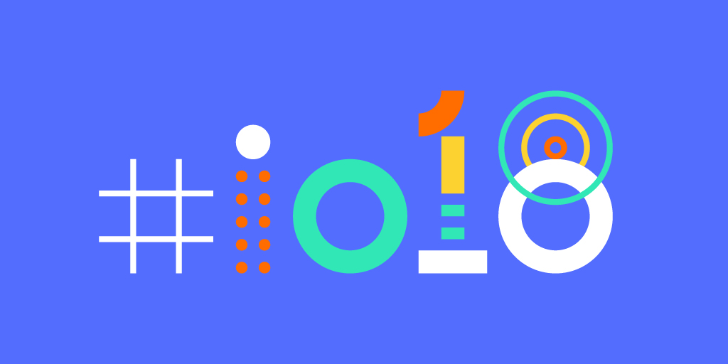 Google revealed the location and dates of Google I/O 2018 last month. If you've been waiting to get your own tickets, now's your chance - registration is finally open to the general public. Just like last year, I/O uses a raffle system, so you won't know for sure if you have a ticket until February 28. Your payment method will be pre-authorized once you register, but you will only be charged if you are selected. 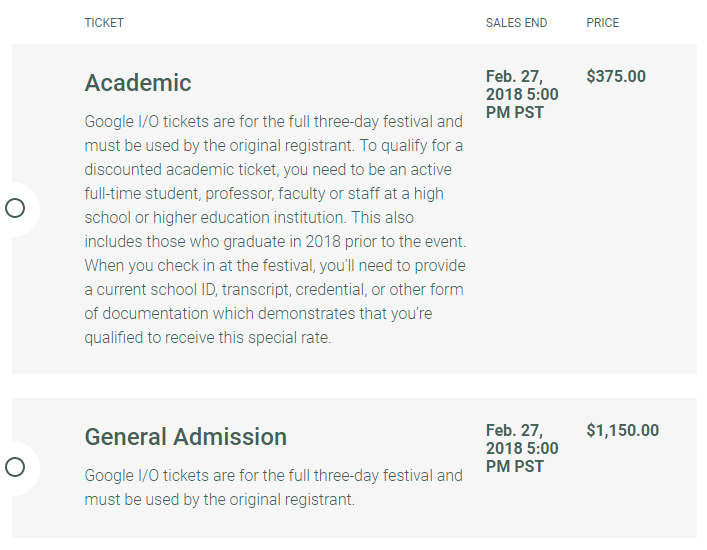 The ticket prices are identical to last year - $375 for students/teachers, and $1,150 for everyone else. You can register yourself at the source link below.